Breast Advocate App contributor, Dr. Hani Sbitany, discusses an alternative approach to traditional implant-based breast reconstruction in this NY Times article published yesterday. 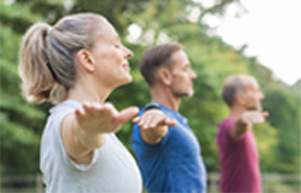 For the past 30 years, the traditional method of implant-based breast reconstruction involved placing tissue expanders and implants underneath the chest wall muscles. It has been long believed that this muscle coverage offered lower rates of both infection and heavy scar tissue formation (capsular contracture) around the implant. However, placement of a tissue expander or implant under the main chest muscle (pectoralis major) comes with certain risks to the patient. Specifically, the dissection and stretching of the muscle to fit the implant underneath, may increase the discomfort associated with the reconstruction, due to muscle spasm and tightness. Furthermore, in submuscular reconstruction, the pectoralis muscle heals to the overlying skin of the reconstructed breast, and in some patients moving forward, each contraction of the pectoralis muscle pulls the skin of the breast with it, causing breast animation or hyperanimation. This means that the breast temporarily becomes distorted and moves in an unnatural way when the patient uses her chest muscle. 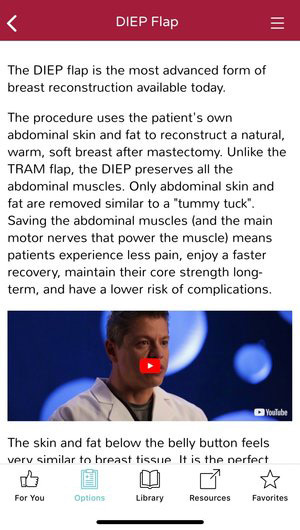 Now some surgeons are placing the implants on top of the muscle in an effort to reduce complications like pain, weakness and “hyperanimation” deformities that can occur when the chest muscles are flexed. Results so far are extremely encouraging. Are you a breast cancer patient or survivor, at high risk of developing breast cancer, or living with breast cancer? Are you struggling to have a voice in your surgical treatment decisions? Breast Advocate® will change that. 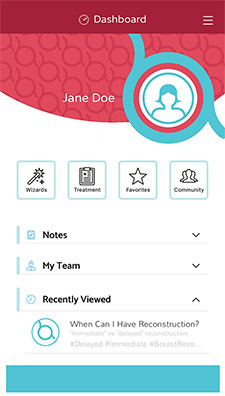 Co-created by leading specialists and patient advocates, Breast Advocate® is a free breast cancer app for Apple iPhone and Android that provides evidence-based information and recommendations, personalized for you, exactly when you need it. 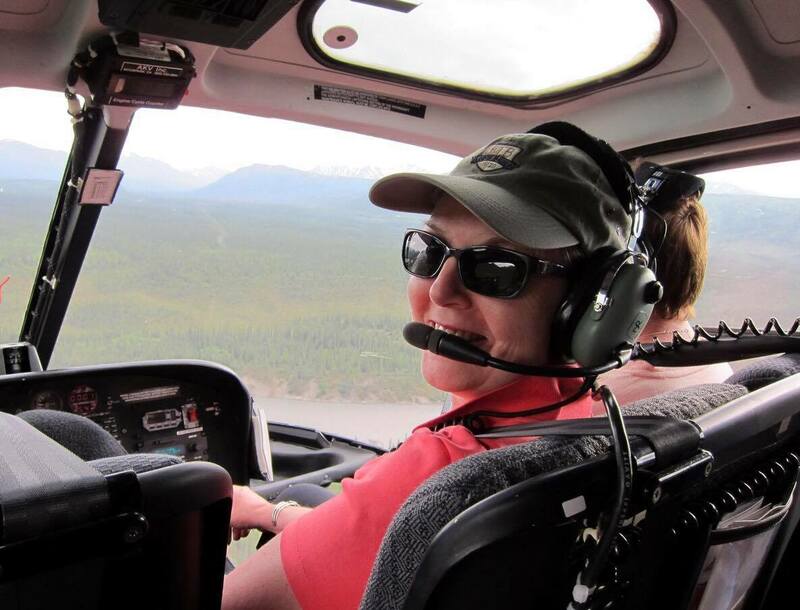 The latest top stories in the world of breast cancer. 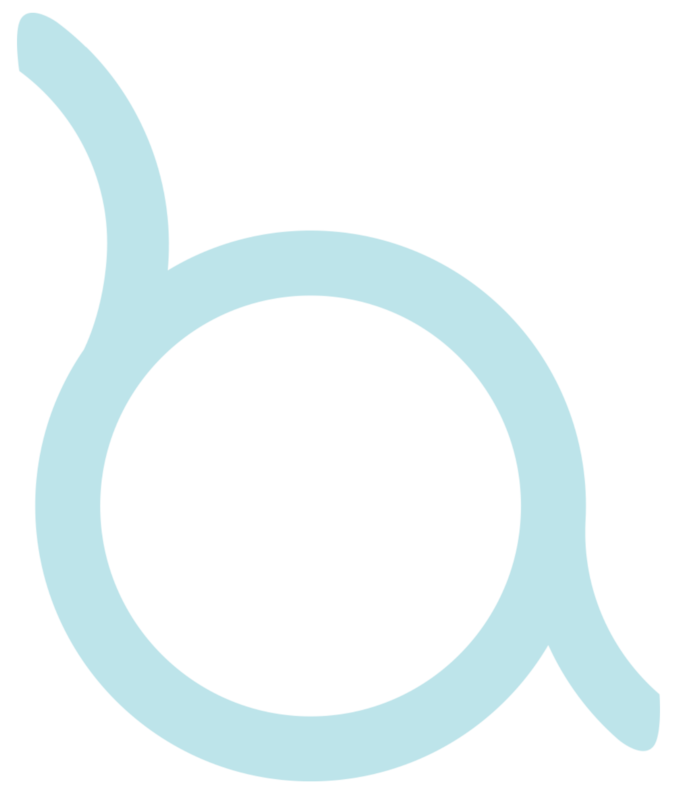 How and why Breast Advocate® empowers patients to have a voice in their treatment planning. 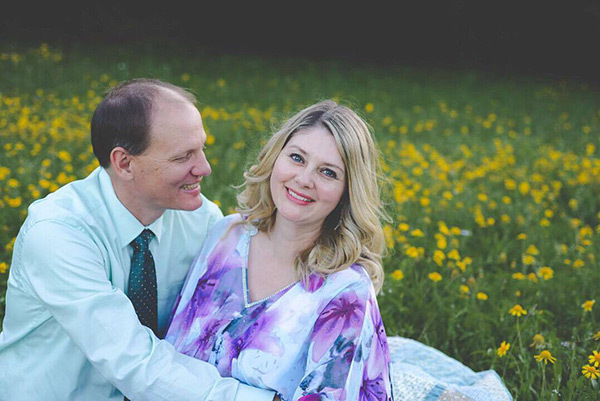 Breast Advocate® was founded by Dr. Minas Chrysopoulo, an internationally recognized expert in breast cancer reconstruction and shared decision-making. Shared decision-making occurs when the health care professional and patient work together to make a treatment decision that is best for the patient. The best decision takes into account evidence-based information about treatment options, the physician's knowledge and experience, and the patient's preferences and values. Multiple studies show this collaborative approach improves patient outcomes and satisfaction. 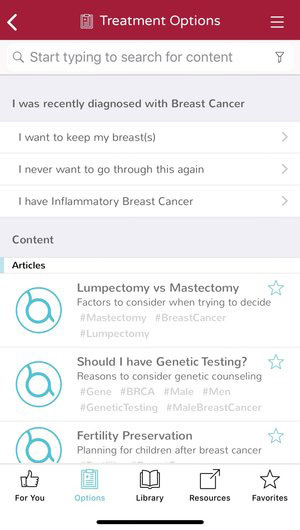 The Breast Advocate® App is the first shared decision-making app for breast cancer surgery and breast reconstruction. It is a free app, co-created by breast cancer specialists and patient advocates, that provides anyone with a breast cancer diagnosis, or at risk of developing breast cancer, a much needed voice in the decisions surrounding their surgery. 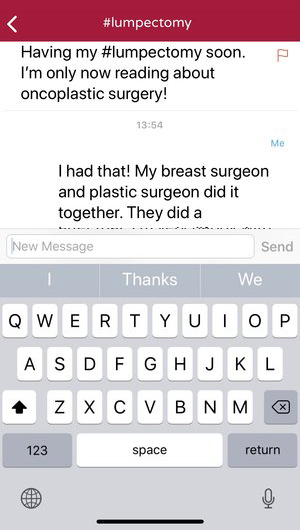 For anyone considering breast cancer surgery and/or reconstruction, the process can be very frustrating. Lack of accurate, evidence-based information and a feeling of not being involved in their treatment decisions are two of the biggest sources of frustration. 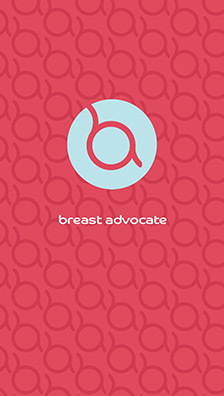 Breast Advocate® changes that, empowering you to have the conversation that you want to have with your physician team. 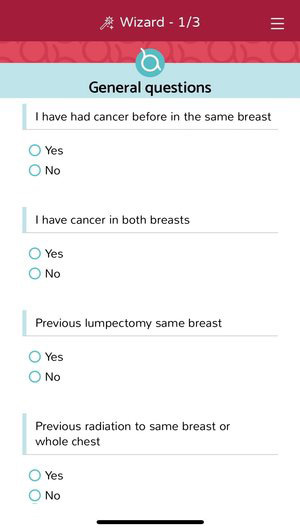 Breast Advocate® educates users in a comprehensive and personalized way about all their breast cancer surgery and reconstruction options, providing access to the latest studies and expert opinions. 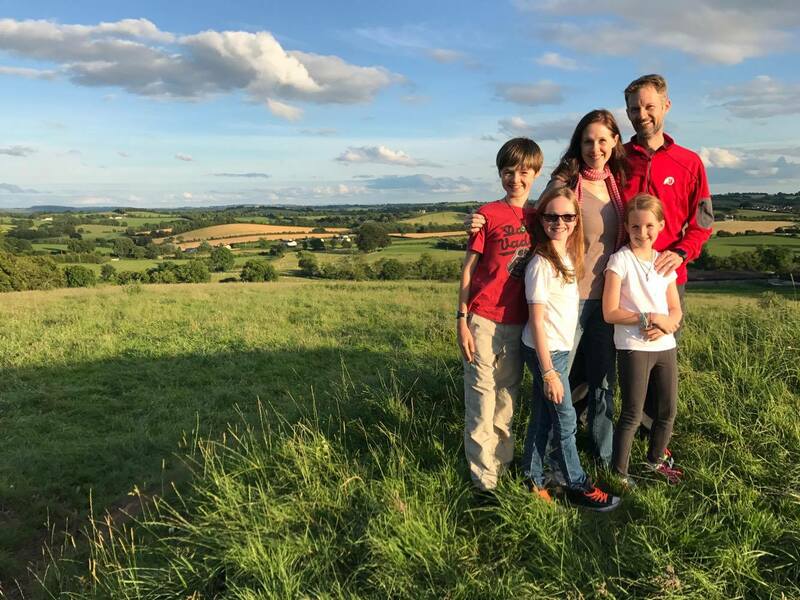 Regardless of your situation, you will have all the information and tools you need to take a more active role in your consultations and participate fully in the decisions about your treatment. The app is loaded with detailed content, which is presented in a very user-friendly format. 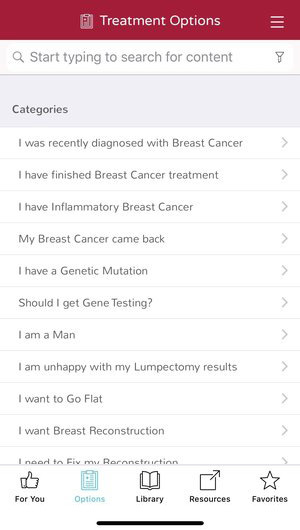 Breast Advocate® provides easy and quick access to the specific information you need based on your situation. Need help deciding between procedures? After taking your individual situation and preferences into account, the Wizard provides evidence-based recommendations. If your preferences change after researching your options, you can change the answers to the Wizard’s questions any time and as often as you like. Breast Advocate® also provides welcomed support. Connect with others who have faced or are facing the same decisions or issues. You don't need to face this alone.